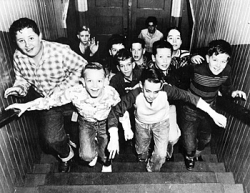 One of the four oldest Boys’ Clubs in the nation, the Meriden Boys’ Club originated in a single room in Turner Hall on Veteran Street with a stove, a library of 150 books, a number of parlor games, and a few scattered tables and benches. 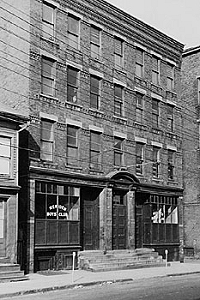 W. H. Catlin was the initial organizer of the Club that was established on March 27, 1888. In 1906 the Club became one of 56 charter members of Boys’ Clubs of America, which celebrated its 100th Anniversary in 2006. Shifting locations many times during its earliest stages, the Club in 1911 moved into the Veteran Street building, the Club‘s home for the next 45 years. Joe Coffey, the man most responsible for the erecting of the Lincoln St. building, took over as acting Executive Director in 1939 when then Director, Tex Diller, a retired colonel in the Army, went to fight in WWII. In 1947 the “acting” was dropped from Coffey's title when Tex Diller officially retired from the Club. Cuno Camp, an overnight camp in Warren, Connecticut, was established in 1923 when Charles H. Cuno created the Cuno Family trust fund. In 1949 the Warren property was sold and property in the Stoddard Drive area (across from Lincoln Middle School) was purchased. The camp was converted to a day camp that same year. The Club’s rapidly expanding membership soon outgrew the Veteran St. building, which in 1956 was 90 years old, and in 1954 plans for a new recreation center began. Designed by William H. MacKay, a Meriden architect, the new clubhouse, at the corner of Washington and Lincoln streets, was a modern two-story structure of functional design. It housed the latest equipment and had a well-equipped gymnasium, shower and locker rooms, a library, combination rifle and archery range, woodworking shop, and two large, well-lit game rooms. Cuno Camp, which sat smack in the middle of robust land development, moved from Stoddard Dr. to its current home on Beaver Lake Road in 1961. The new property had been part of the Sambone family farm until it was sold to the Club. In 1976 then assistant director Gary “Tex” Burt was hired as executive director when Joe Coffey retired. He faced his first big challenge later that year when Beaver Lake was deemed unsafe for swimming due to high bacteria counts. An alternate swimming spot had to be found. The Groth family, former owners of Moutainside Outing Club, came to the Club’s rescue. The entire camp was bussed there each morning for its members to swim and utilize their ample outdoor recreation facilities. In 1984 the Club began a capital campaign for the addition of a swimming pool to Cuno Camp. The pool was ready for use in 1985. Fall of 1979 saw the addition of the King Youth Soccer League with 56 boys on 4 teams. The league currently operates in the fall with about 350 boys & girls on 20-plus teams. 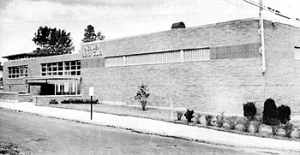 In 1988, the Club celebrated its 100th Anniversary of serving the needs of Meriden’s youth. In 1999 the Club went on a major fundraising campaign to build a 16,000 sq. ft. addition that would double the size of the Club. The Meriden Boys Club officially became the Boys & Girls Club of Meriden when the doors were opened to girls in July of 2000. The Laura Cuno Camp was added for girls in 2005 when the Club began a significant expansion of the camp facilities. Gary “Tex” Burt, executive director for 30 years, retired, and Don Maleto assumed the post on Dec. 31, 2005. The year 2013 saw Don Maleto become Executive Director of the CT. Alliance of Boys & Girls Clubs after Joe Andreana's retirement. After an extensive search, former Castle Bank president Larry McGoldrick was hired. Questions and comments can be directed to Sr. Program Director Dominic Pereyo at 203.235.8185.